Laminam produces ceramic slabs with sizes ranging from 1000×3000 to 1620×3240 mm and thicknesses from 3 to 20 mm. Laminam started from a profound knowledge of the methods, techniques and products in its original sector, to identify new paths. Knowledge gained in over forty years of the group it belongs to, which has always stood out for its ability to innovate production technologies, processes, products and logistics in the ceramics industry. Laminam was founded in 2001 from an idea conceived by Ing. Franco Stefani, a trailblazer in the ceramics industry, who designed this product and created the production technologies needed to produce it. The origin is the patent for the production technology for manufacturing large-sized, ultra-thin ceramic slabs, which in the early 2000s was a completely new product – ultra-thin ceramics – and gave a new impulse to this mature sector. 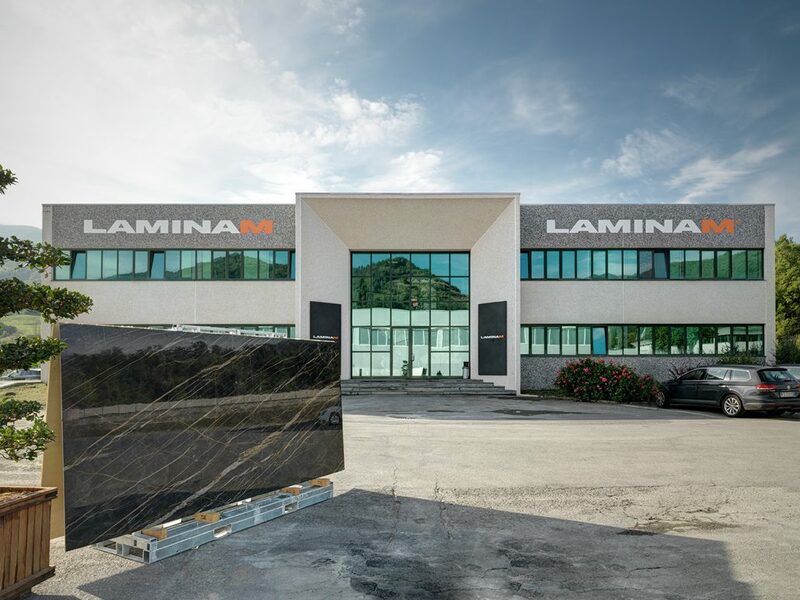 From here, Laminam began to imagine new and innovative uses for this material, exploiting its potential to the full, both in the conventional fields of application such as architecture and indoor and outdoor floor and wall tiling, and in new sectors, such as furnishing and technologies for generating energy from renewable sources. Today Laminam produces eclectic and versatile large-size ceramic surfaces used in many applications in traditional and advanced architecture, furnishing and design. The main factory, in Fiorano Modenese, Italy has been joined by two new facilities set to triple production capacity: one in Borgotaro (Parma, Italy), dedicated entirely to 1620x3240mm size slabs, and another in Russia, located in Balabanovo, not far from Moscow, reserved exclusively for 1000x3000mm slabs.